Help us provide food for the needy families in southern Washington County with your NWA Gives contribution to CEO. CEO was originally established by area churches to provide food and emergency services to needy families and individuals. We have grown substantially and now serve 900 individuals in a typical month, with the large majority receiving a 3 day supply of food. 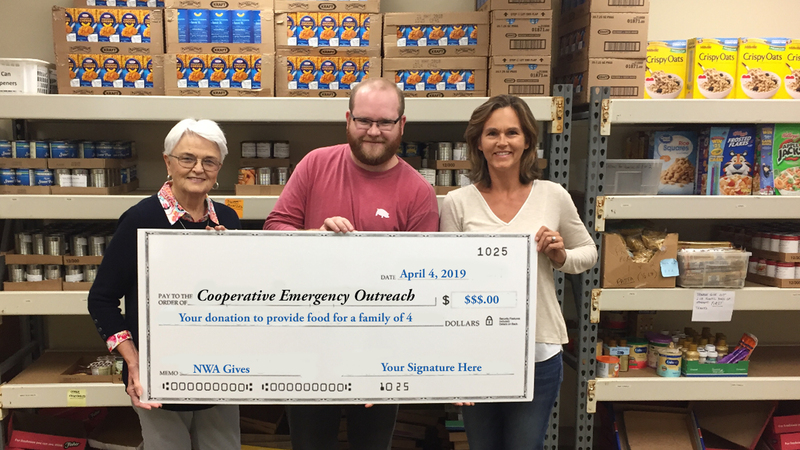 Food is a major monthly expense, costing on average $5000, and we are asking you to help us reach the goal of buying food for the month of April through this fundraiser. All our staff are volunteers, so every dollar you donate goes to serve our clients. CEO is a COOPERATIVE group of churches assisting members of the community in EMERGENCY situations as part of an OUTREACH ministry.